Charles B. French Official Site: Why do Lost clones fail? The title sums up my thesis. 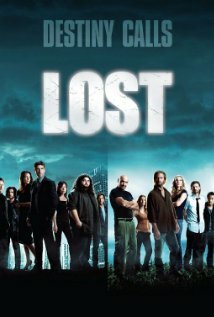 Since Lost, television networks have been trying to duplicate the show's success, and most (if not all) of these clones fail. Shows like Threshold, The Nine, Flashforward, The Event, and my personal favorite Tower Prep all didn't survive past the first season. They all started out strong, and each show had viewers who were deeply disappointed that the story will not be finished. And why is it that none of these shows lasted? The answer, as I see it, is simple: Lost. That's right, I posit that Lost not only inspired all these clones, but also is the reason they don't succeed. That's why Lost clones fail. Once bitten, twice shy. True, viewers were willing to give these new shows a chance, because there was a lot to love about Lost. We loved chatting at the proverbial water-coolers, speculating about the numbers, the smoke monster, the Others, who Jacob was, and many more large and fine plot points. It was fun trying to figure it out. However, the show proved the adage true, the anticipation of the event is often better than the event itself. We anticipated answers, but the few we got didn't prove satisfying, or even make sense. It didn't help that the writers didn't have a master plan. They were making it up as it went along, which is why, in the final season, we never got the answers we were promised. And so when we watch these new shows, we like the premises, but then we get flashbacks of Lost, being presented with questions that the writers have no intention of answering. We have that deja vu all over again feeling when the show strings us along, refuses to give us answers, and seems to have no real sense of where it is going. We don't want to get attached again, don't want to commit to a show, invest in a show likely not to pan out. If a revolutionary show like Lost winds up disappointing, what hope do we have for the imitators? As I've said before, you need a plan. Viewers have too many choices these days to give a Lost clone the benefit of the doubt. We need to know that the show has a plan all worked out, already know how it's going to end, and that this ending is going to be worth the investment. Quite frankly, the best of the Lost clones was an obscure Cartoon Network show called Tower Prep. This was a fun show that was a mix of The Prisoner, X-Men, and Lost, and it appeared to have a plan. I enjoyed every episode, loved the characters, found the mysteries engaging, and the answers we did get satisfying. Sadly, it looks like this show, too, fell victim to the Lost effect. Now, it's not as if a television serial is impossible. Many have been successful, such as Babylon 5 and Buffy the Vampire Slayer. It's also possible to have a series that works episodically while at the same time investigating a longer mystery; shows like Bones, Castle, and The Mentalist. However, those shows aren't designed to string the viewers along. We aren't watching in the hope that, in some future season, we might get half an answer. The show itself is fantastic, we love the characters, and the individual episodes that don't touch the long-term plot/mystery aren't considered a waste of time. Plus, since the show's premise isn't based on a single mystery, it doesn't need to string viewers along. As such, we often don't have to wait for the end of the series to get answers. And that's the difference. A lot of these long-con series were perfectly happy to resolve the major plot threads by the end of the season, and then gave us a new mystery to be resolved by the next season. (Buffy/Bones). In the case of Babylon 5, while there were a few mysteries, that wasn't the basis of the show. It was an epic space opera that was clearly heading somewhere and fun to watch as it went. So that's what television writers can take away from Lost. We don't want another Lost - we've been there and done that. We don't want to invest in a show that will require years and years just to get some answers that the creators may or may not be making up as they go along. We do want shows that have long episode-spanning arcs, we like shows that are going somewhere, but make sure that the journey is enjoyable. And have an ending before you start.